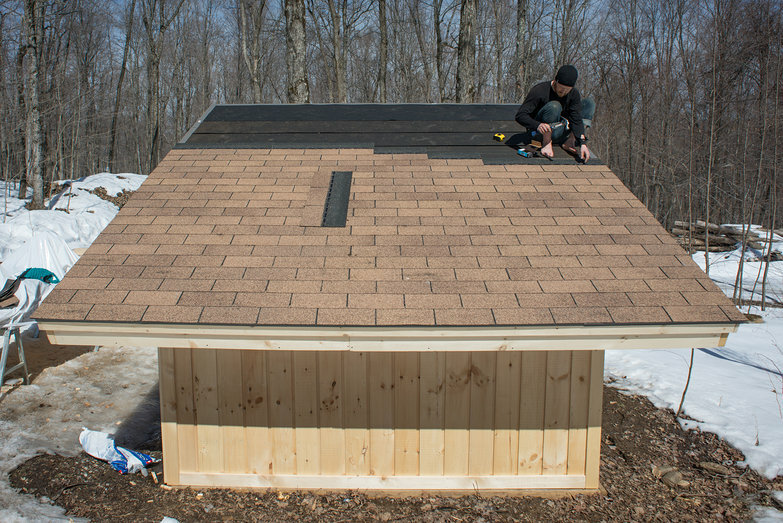 This week, we've been working on adding trim and fascia boards to the solar shed. We also started shingling the roof! As per usual, each time we start a new building task that neither of us has done before, Charlie drops by to give us a brief lesson (thanks Charlie!). 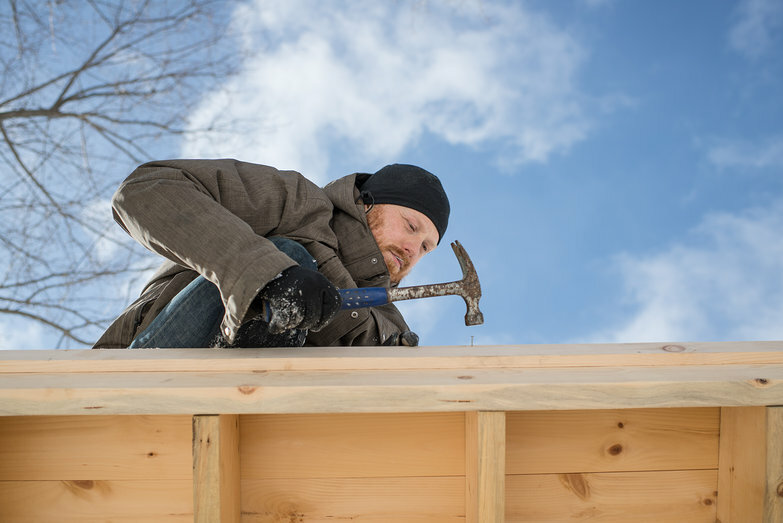 For shingling, Tara took the role of measuring and cutting, while I ran around on the roof, nailing everything into place. 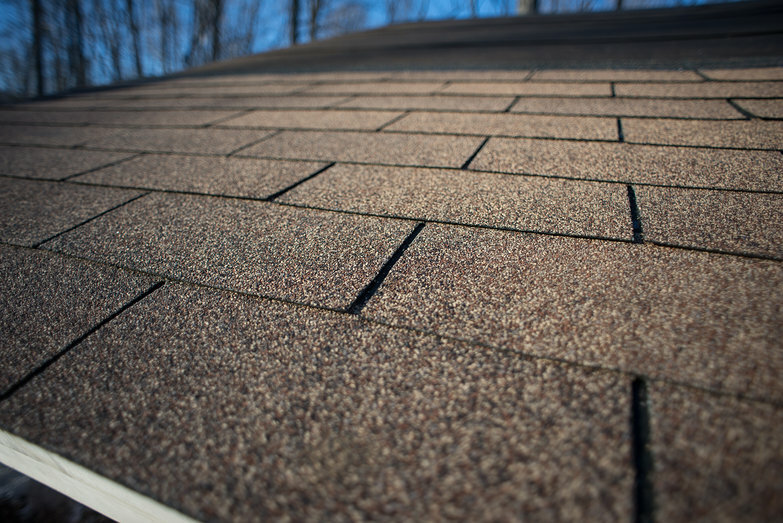 Asphalt shingles are really easy to install—we finished half the roof in just a few hours. 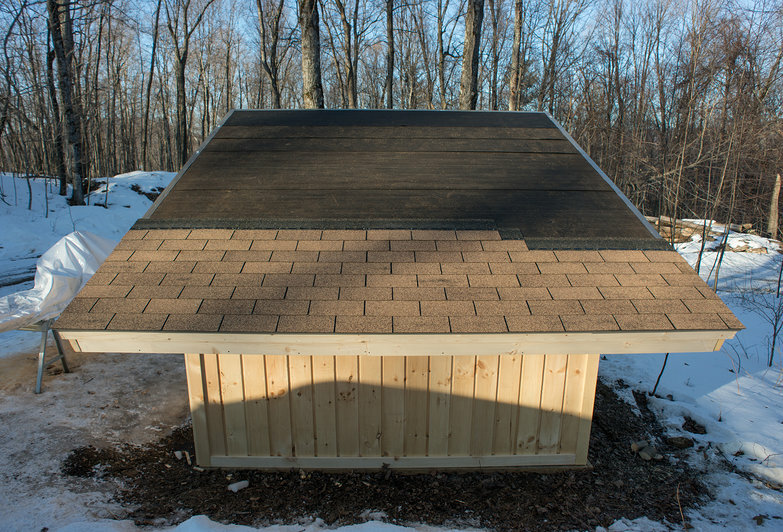 We originally planned to use slate, but later realized that this would be a waste, as it would eventually be completely covered with solar panels. As a result, we've decided to save our beautiful reclaimed slate for another structure. Later this week, I'll be ordering the first components for our solar array!